My name is Mikhail Fedorov. I am a founder of Theta-Meter project. I have finished Moscow State Technical University named after Bauman (this is Russian MIT) with diploma of radio engineer in 1997. I am professional auditor, Class IV Graduate C/S, solo auditor and Class Supervisor with experience more than 10 years. As you can see, I am enough experienced in both sides of e-meter – application in session, study in class room and in creation of electronic devices. We start to work with Theta-Meter project in August 2008 and first seven e-meters appear 28 of November 2008. From those time was made and sold many devices but first ones are still working and help to their owners to get wins in sessions. My original idea was to offer to my friends small, reliable e-meter with reasonable price and modern software. In 2 years Theta-Meter become e-meter #1 in Russia. Then we start to get letters from Europe, America, and even Australia and Africa. Theta-Meter becomes popular in the whole world. For our e-meters we use only high quality components. We love getting feedback from our users to fully conform to what is expected of the Theta-Meter our customers. Our team of designers and programmers rise every year. Almost every month appear new software versions, which you can download at our website. Interface of our programs become better, we add new functions to software. 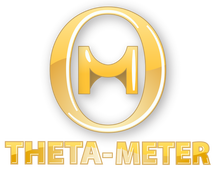 And now Theta-Meter is a recognized leader of e-meter development in the world. We are happy offer to you our products.